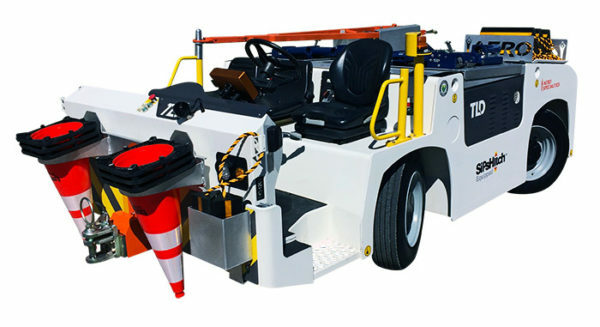 Max Tow Weight: 85,000 lbs. Max Tow Weight: 113,500 lbs. 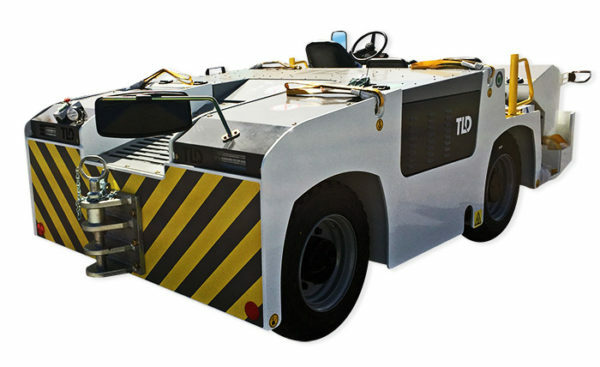 Max Tow Weight: 148,000 lbs. 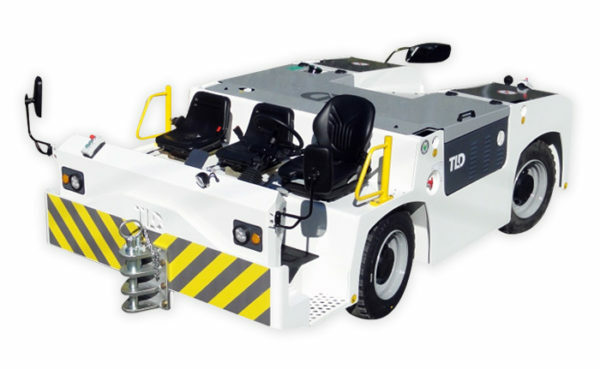 The TMX-50’s compact design, standard 4-wheel steering, and all-wheel drive allow for exceptional traction in all climates while providing the maneuverability required for precise aircraft positioning and hangar stacking. 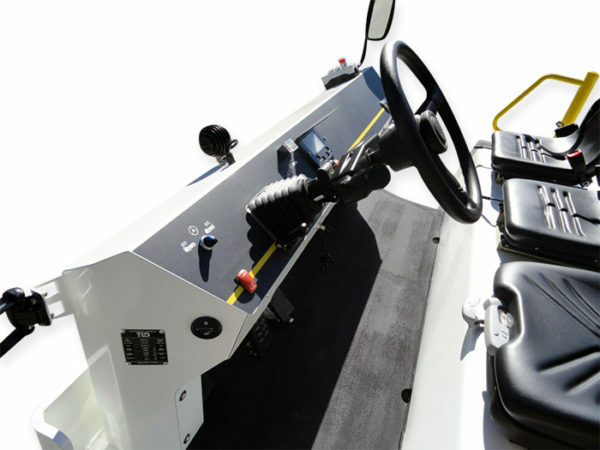 It also features advanced ergonomics and controls, such as the point-of-use inching feature – which solves the time-consuming problem of lining up the final few inches of the towbar lunette & tractor hitch (for final alignments to be controlled right at the hitch). 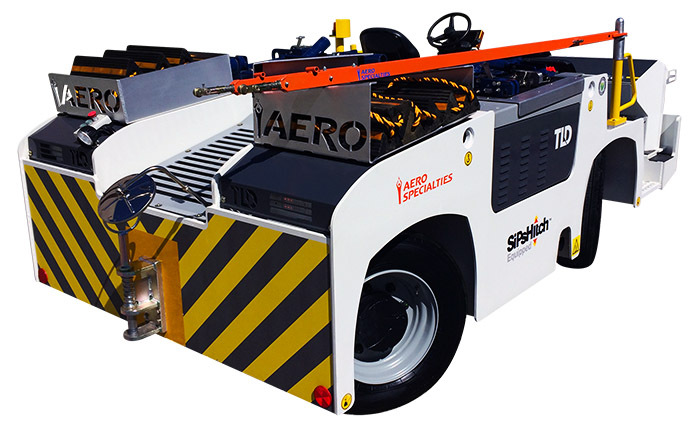 And with seating for three, the TMX-50 can tow more than just your aircraft, securely transporting your entire team during longer towing applications. 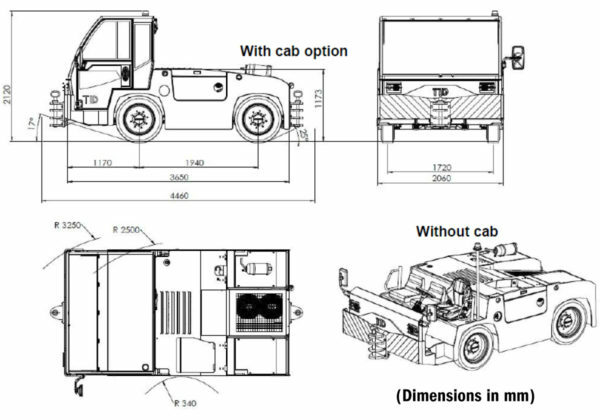 The optional cab is environmentally controlled, and features a panoramic windshield for combined viewing of hitches, towbar, and the aircraft. 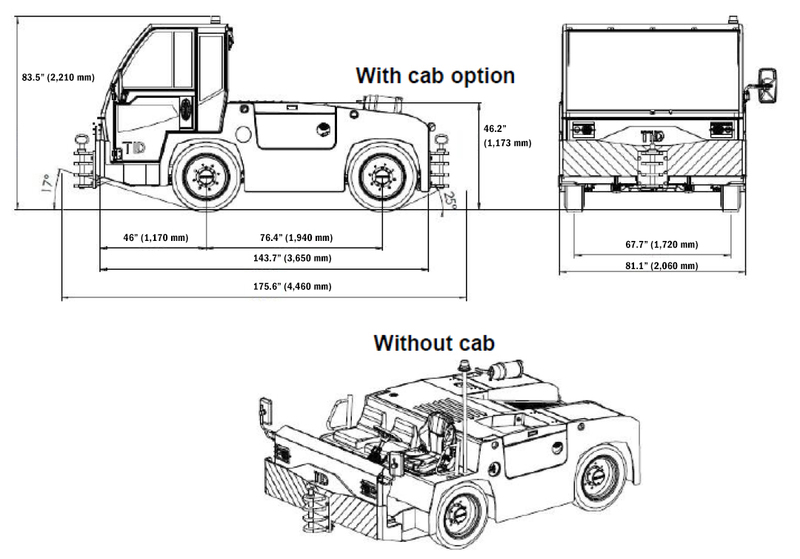 This means with or without a cab, you get the same optimal safety awareness while using the TMX-50. 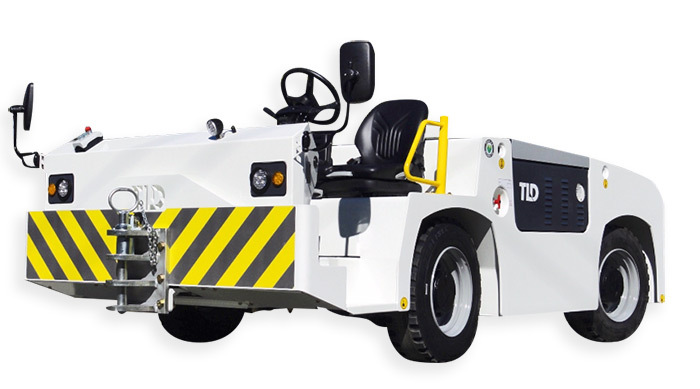 As with all TLD tractors, the TMX-50 utilizes only heavy-duty industrial components. 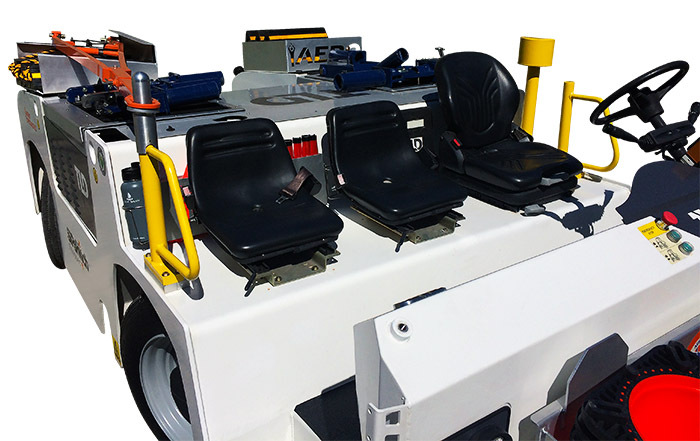 Designed for direct and easy access to all components, you will experience significantly less downtime with these units. The TMX-50 is offered in 3 different variants with towing capabilities up to aircraft up to 148,000lbs. 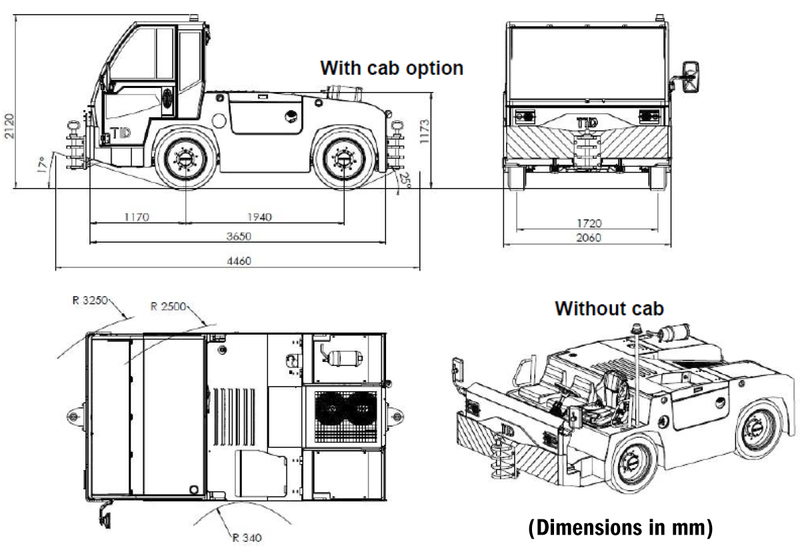 Standard engine is US EPA T4F/EU stage 3B and optional Tier 3/EU stage 3A are available. Transmission: DANA SPICER T12000 power shift with torque converter, 4 forward speeds and 3 backward speeds, 4 drive wheels. 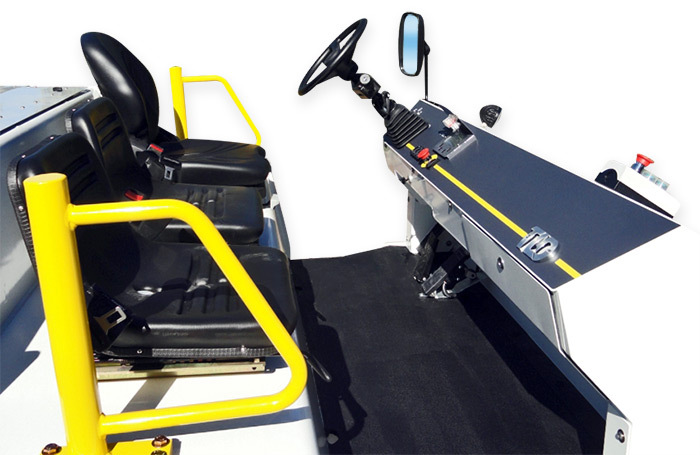 Service Brake: Hydraulic powered braking system (dual circuit) with immersed wet multidisc brakes on all 4 wheels. Parking Brakes: Immersed wet multidisc brakes, spring applied, hydraulically released. 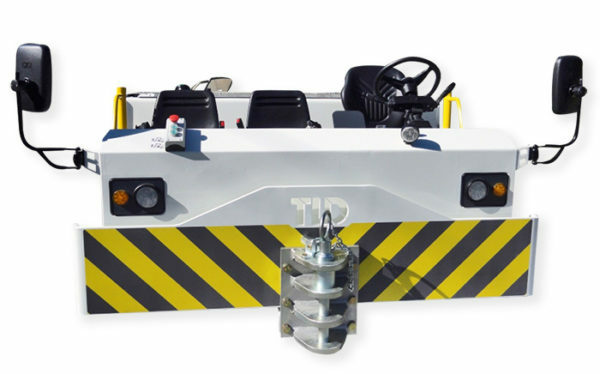 Tow Hitches: Front and rear manually operated, Ø 50mm [2in] [ (l3 levels) with a manual locking system. Colored display with all operational information: fuel gauge, engine speed, speedometer, parking brake indicator, hazard warning lights, flashing lights and headlights.